Centrica, the owner of British Gas, has reported a 15% rise in first-half adjusted operating profits to £1.45bn. The results include a 23% rise in operating profits at its residential energy division, British Gas, to £345m. The company said volumes were boosted by the "colder than usual" weather between April and June. 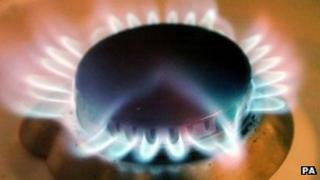 In May, British Gas suggested that bills could increase for customers this winter, blaming rising wholesale gas costs. Wholesale prices have dropped since then. The warning came just four months after it had announced a 5% cut in its standard electricity tariff. But prices in the first six months of 2012 were still higher than a year ago, as electricity prices were raised 16% in August 2011, while gas bills also went up by 18%. In its latest results statement, Centrica chief Sam Laidlaw said the group had performed well despite "challenging market conditions". He added that the increase in profits "must be placed in the context of unusually low levels of consumption and profits in the UK in the first half of 2011". Total gas consumption in the UK went up by 3.5%, while revenues rose by 21% to £3.2bn. Electricity consumption fell by 0.1%, while revenues went up by 10% to £1.6bn. BBC business editor Robert Peston said the figures were likely to infuriate many people. Consumer Focus has accused energy companies of being quick to pass on rising wholesale costs to consumers, but slow to cut prices when they fall. Its chief executive, Mike O'Connor, told the BBC that the energy industry seemed to be "a recession-free zone". He said he would like to say to British Gas: "You're making £2m every day of the week; I think it's about time you gave consumers a break." Ann Robinson, of price comparison website Uswitch, said: "As Britain's largest supplier, if British Gas cuts its prices, other suppliers will be under pressure to follow suit. "A second wave of price cuts this year will not only help customers to better afford their bills, but would also be an olive branch signalling the industry's true commitment to rebuilding trust and confidence with its customers." However, Tom Pering, an energy analyst at Inenco, said customers expecting a fall in bills as a result of the profits and the recent fall in wholesale prices were likely to be disappointed. "British Gas will have already bought much of its supplies for this winter in advance, so it is unlikely to be in a position to take advantage of the recent easing in prices." He said that prices were unlikely to drop due to dwindling reserves and rising imports. British Gas is the UK's biggest energy supplier with 15.8 million customer accounts. Other energy firms have suggested that prices might rise again. Scottish Power warned that rising demand for energy would "inevitably lead to to higher energy costs in the long term" when it cut prices earlier in the year. Meanwhile, E.On said in May that the overall trend was for rising wholesale prices. However, it has promised that it will not increase UK residential energy prices this year. How do wholesale costs affect bills?